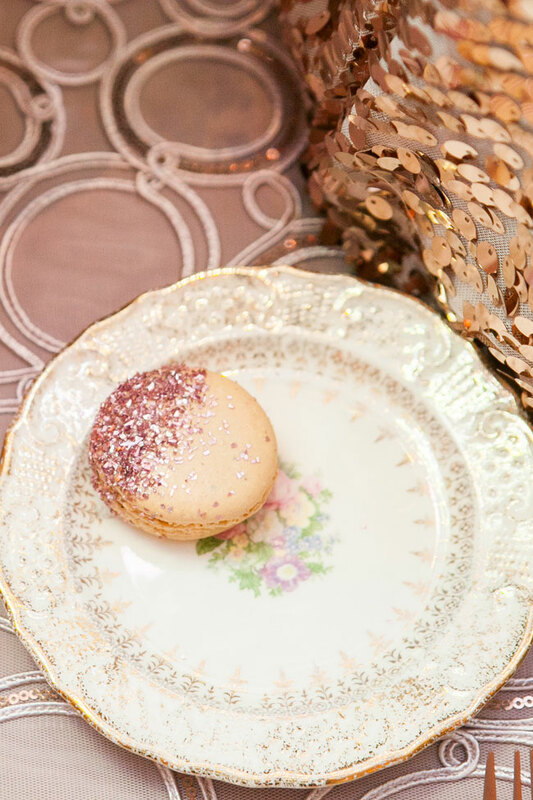 My personal Instagram feed is a hotbed of the things I love most filled with the vendors that literally crush it day after day. 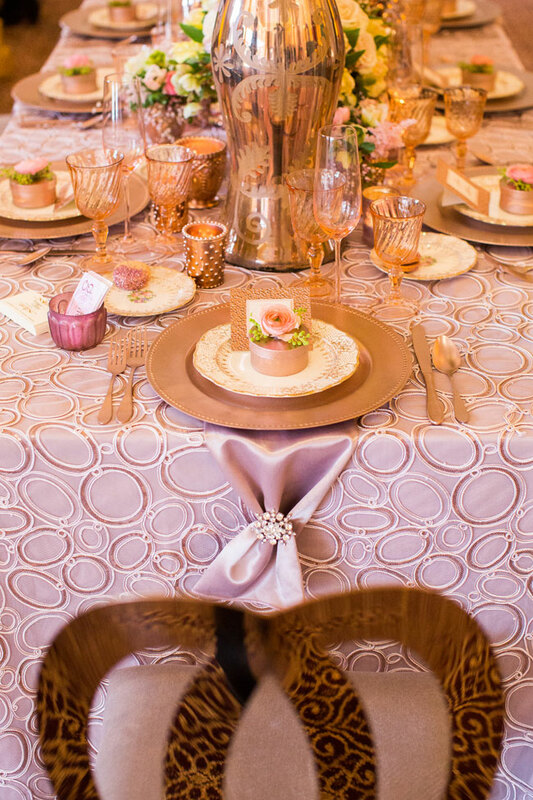 One such star vendor that I always love to see what they are involved in next is linen supplier Luxe Linen. 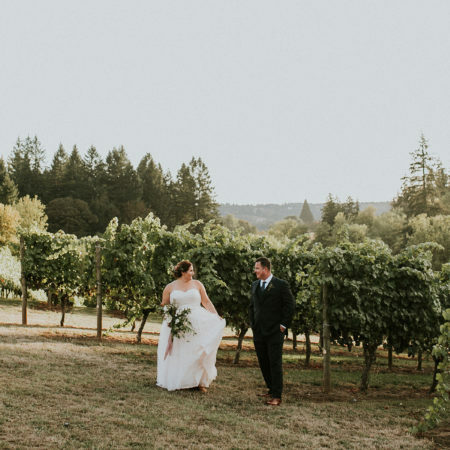 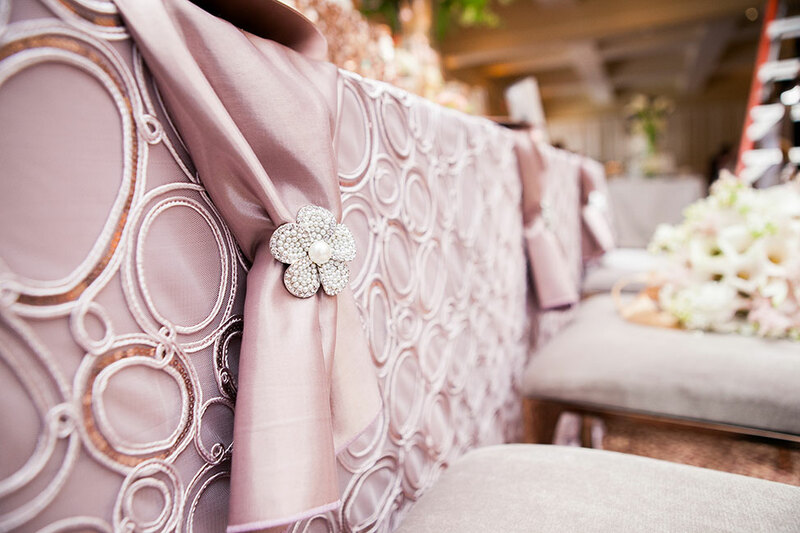 Never one to be bashful, Luxe does a terrific job of carrying a dreamy variety of linens from simple and understated to those that define drama and glamour! 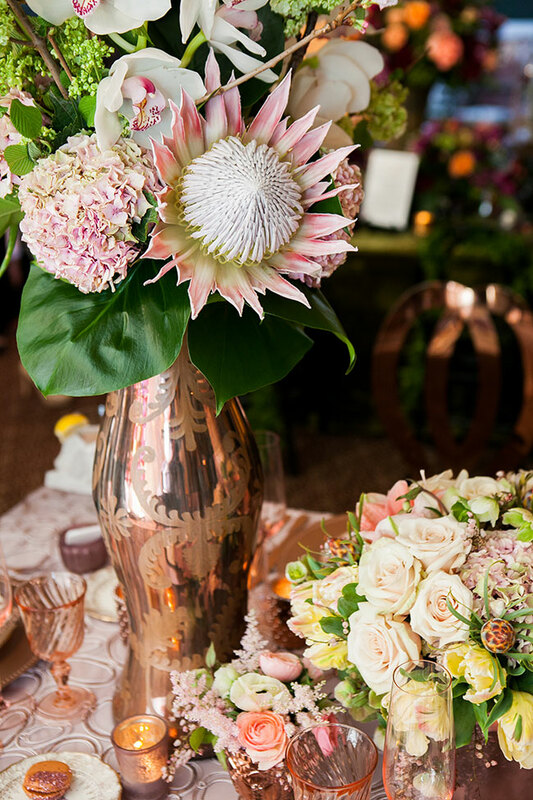 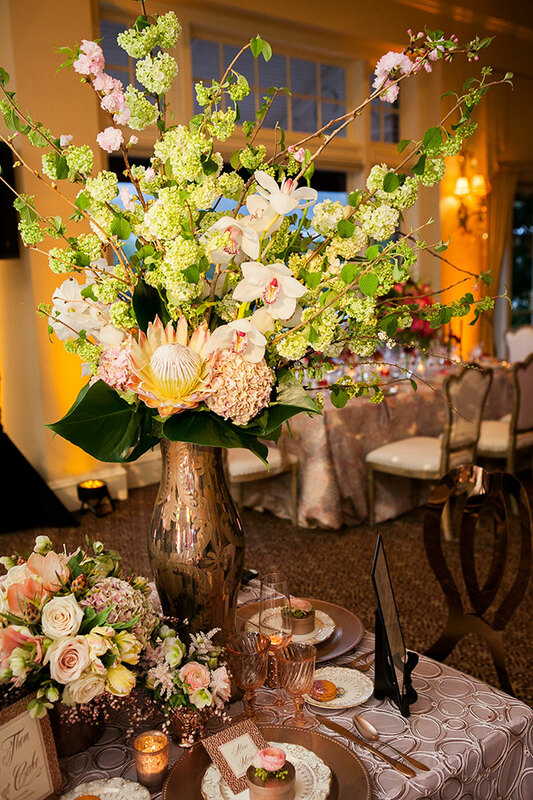 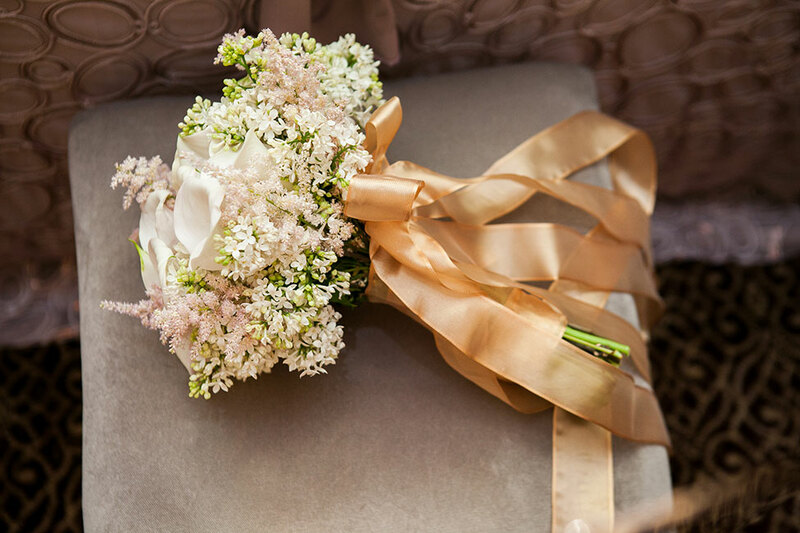 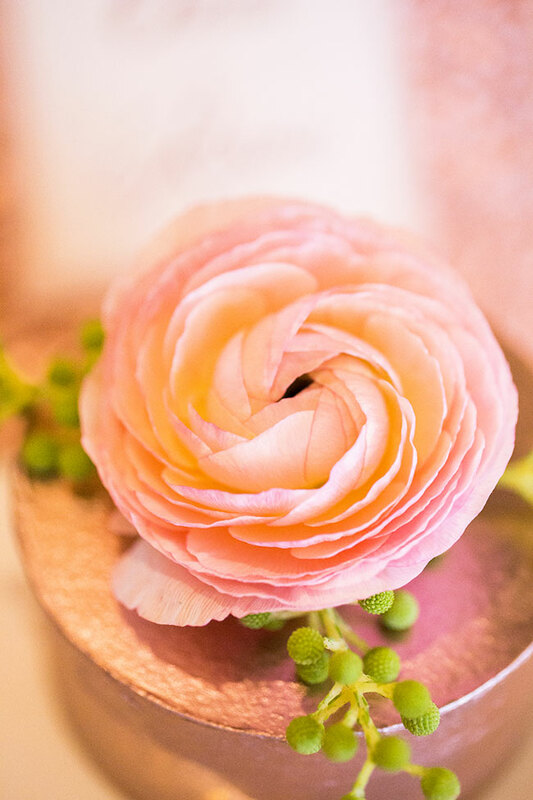 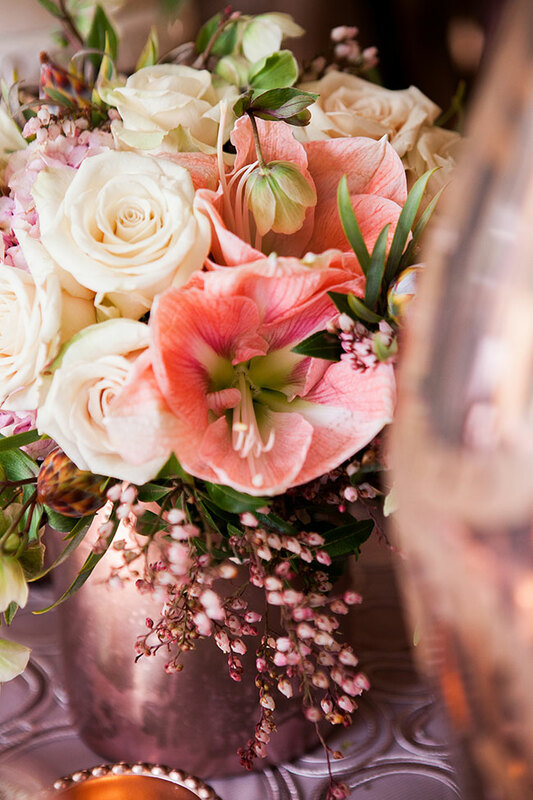 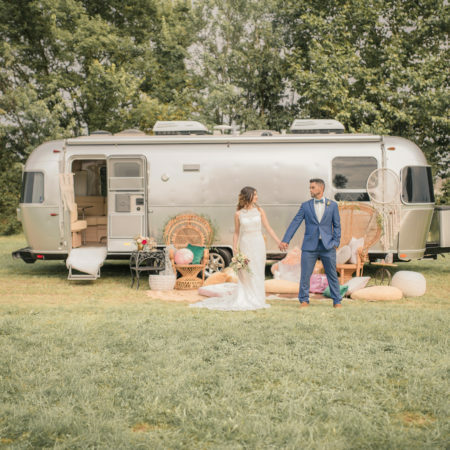 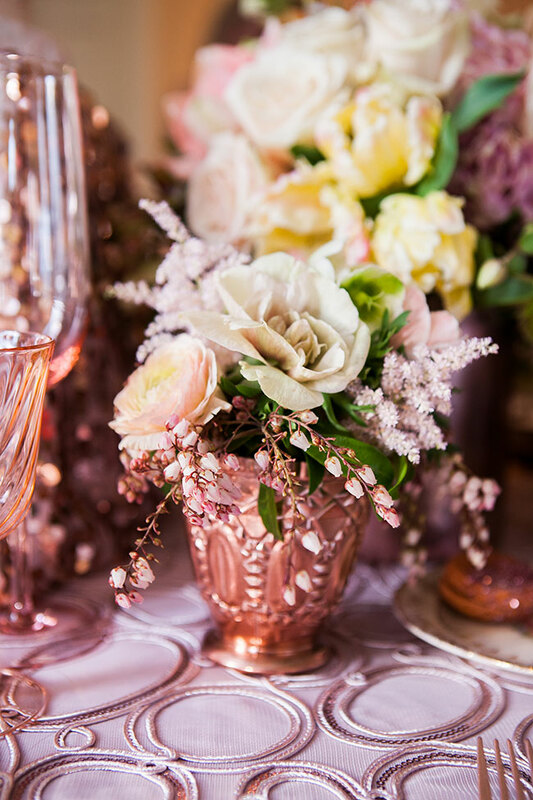 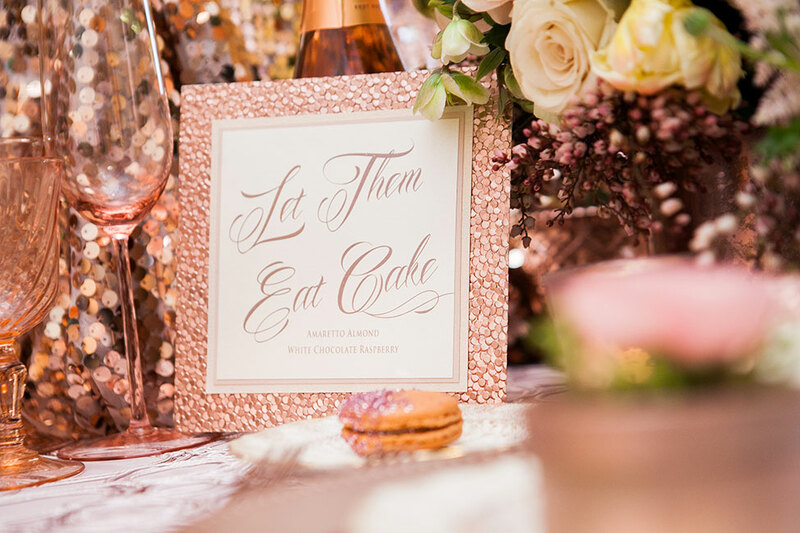 Recently Luxe teamed up with wedding event designers Bella Vita Events and Greenwich Floral Design to craft a ballroom delight rose gold glamour wedding. 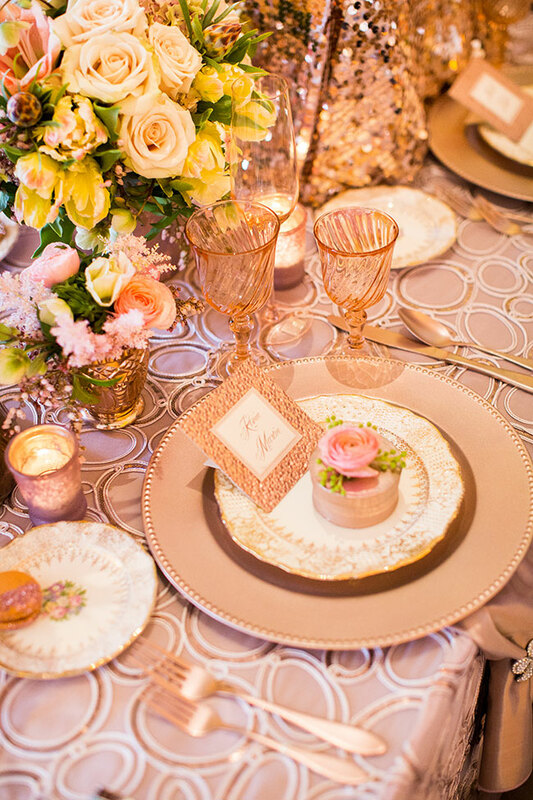 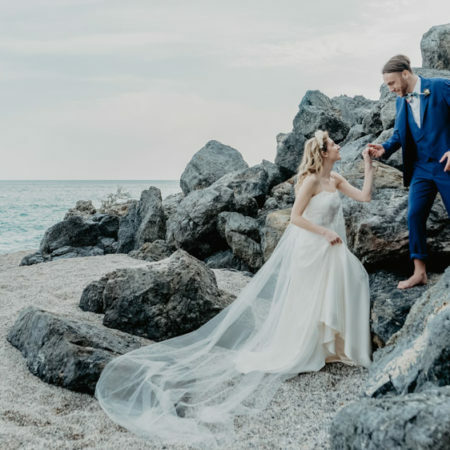 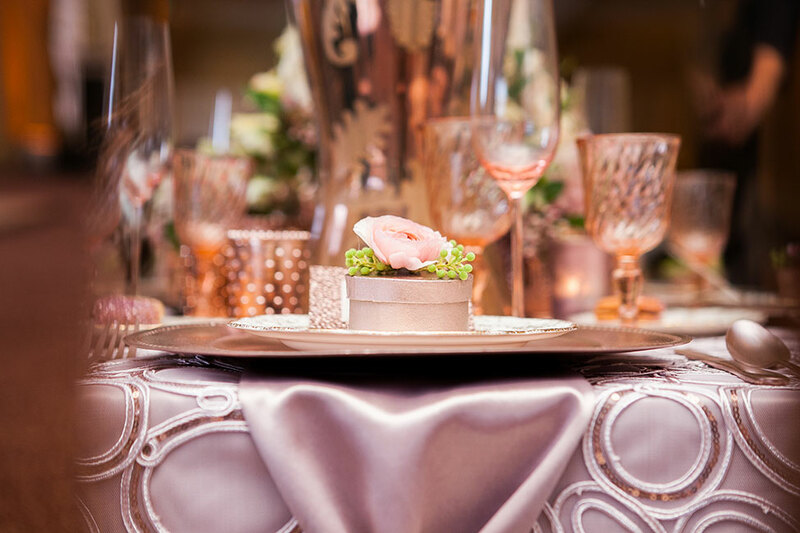 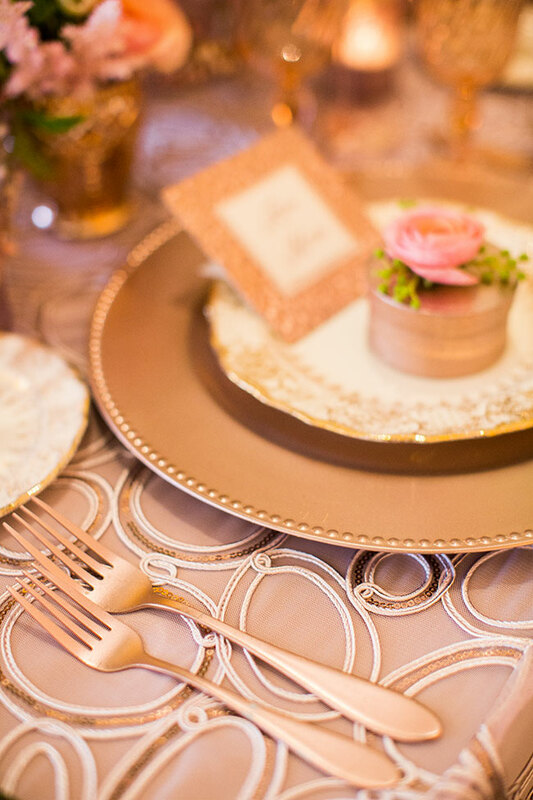 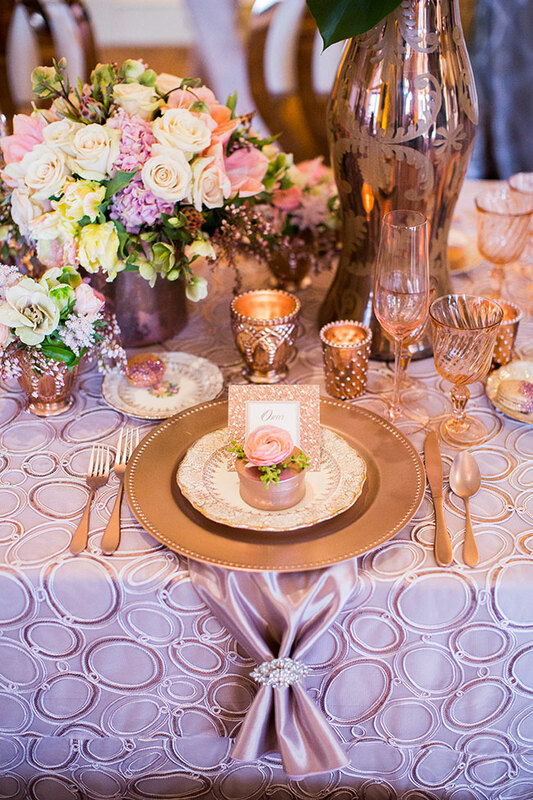 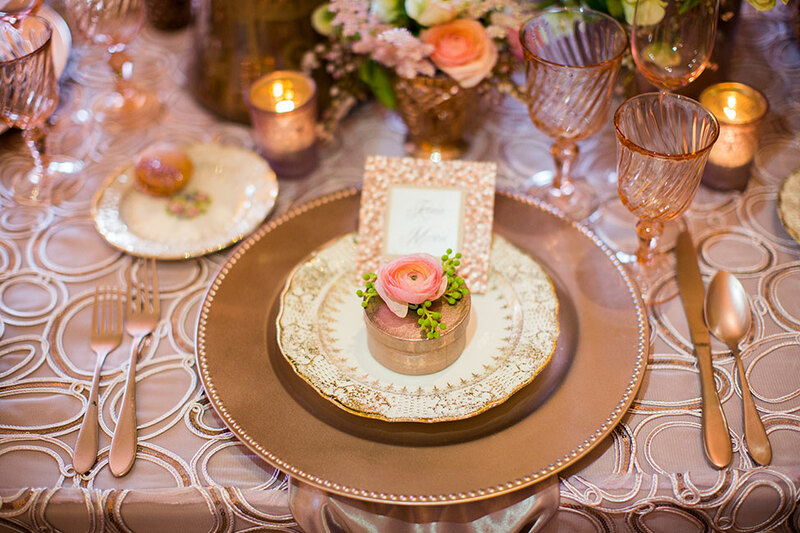 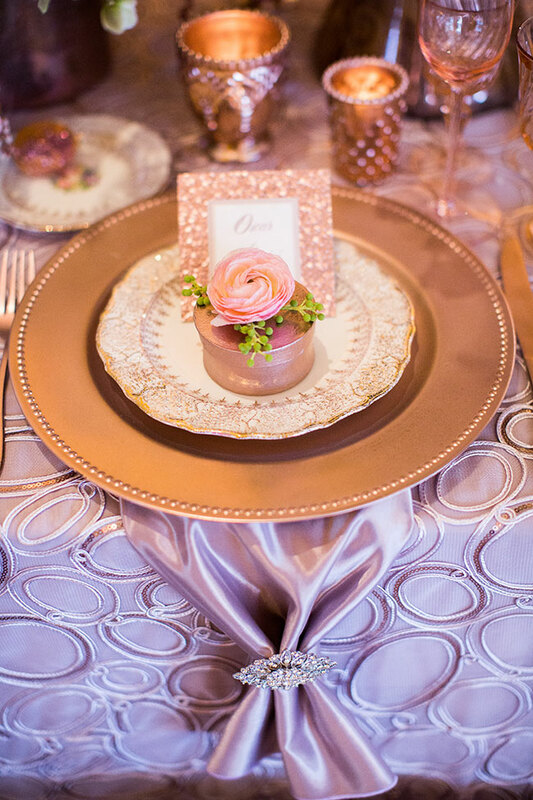 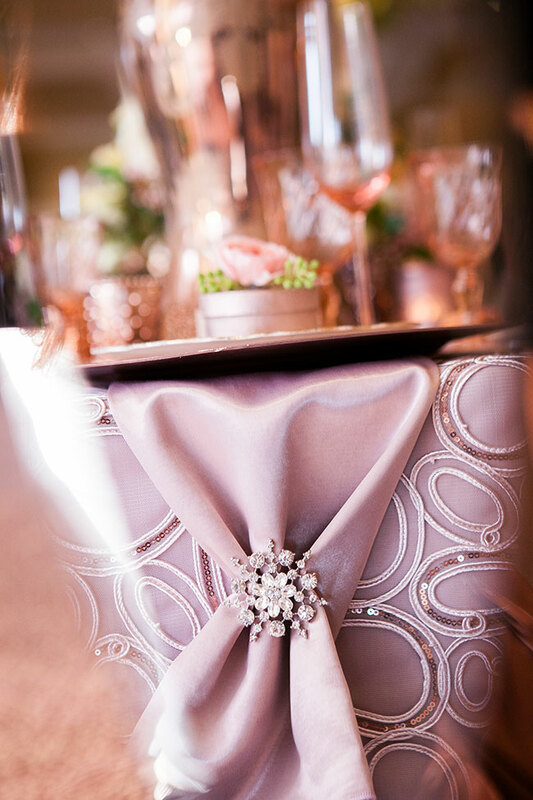 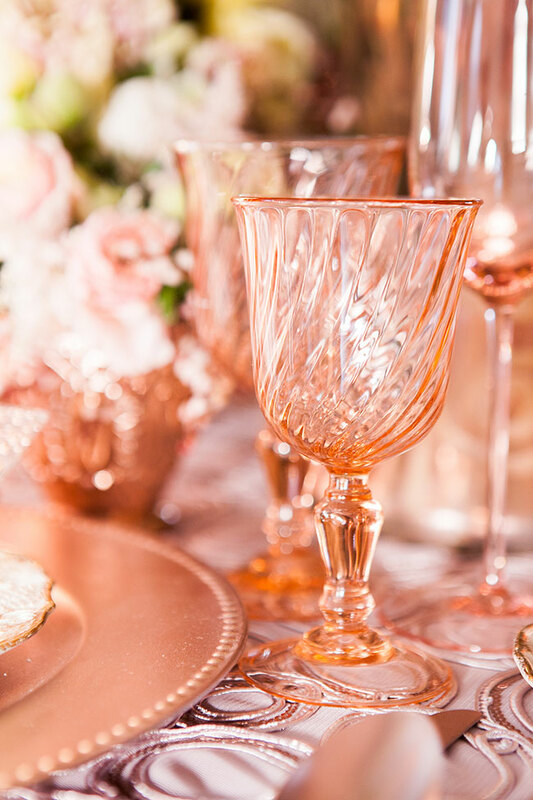 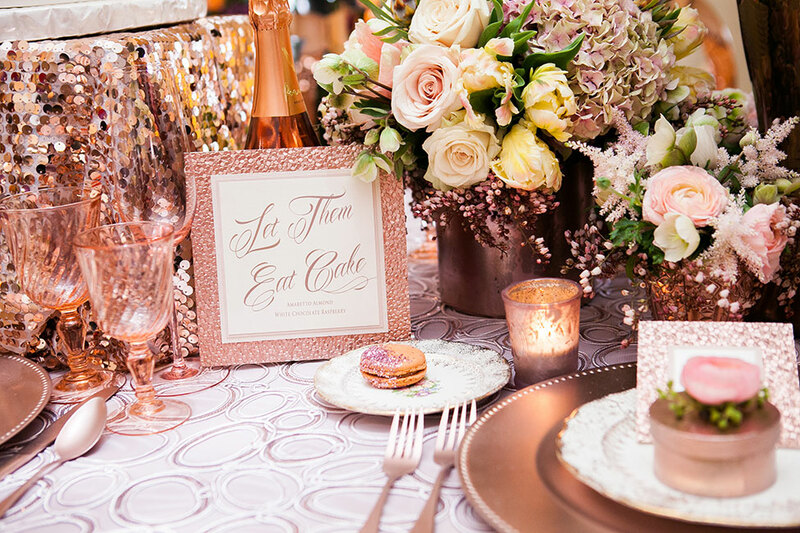 The team worked with a duo of linens, one offering a more subtle texture while the other was quite the show stopper crafted of over-sized rose gold sequins. 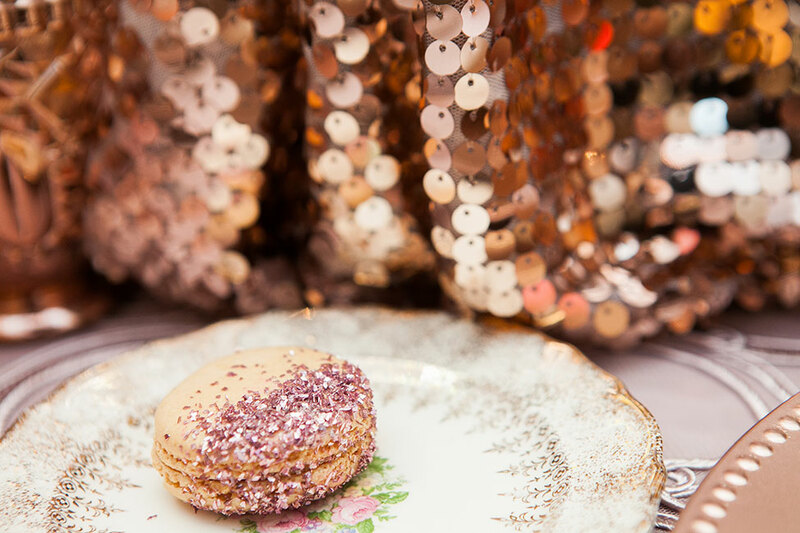 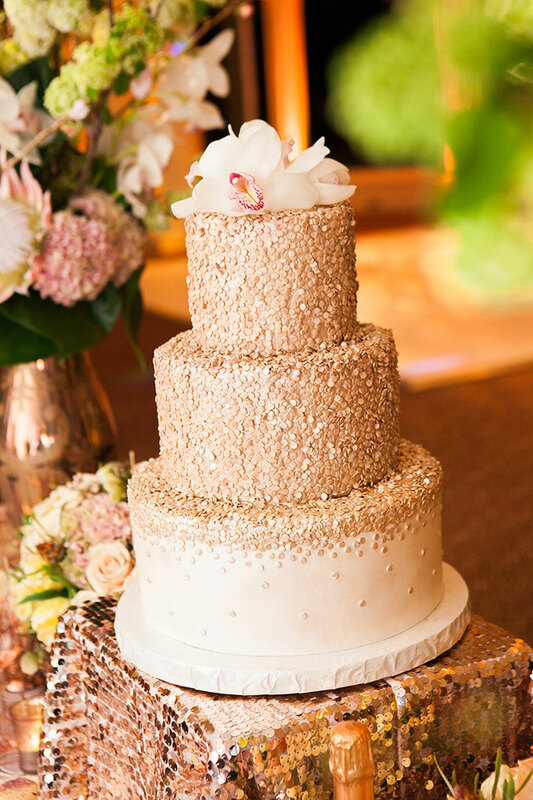 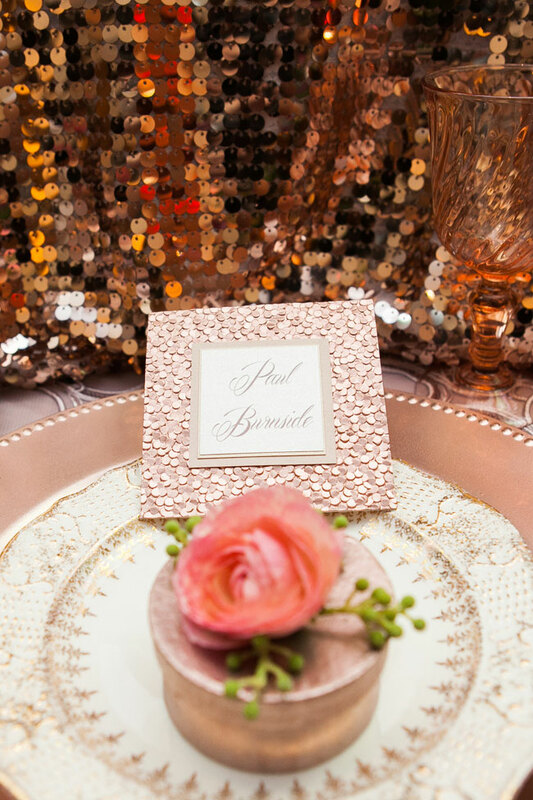 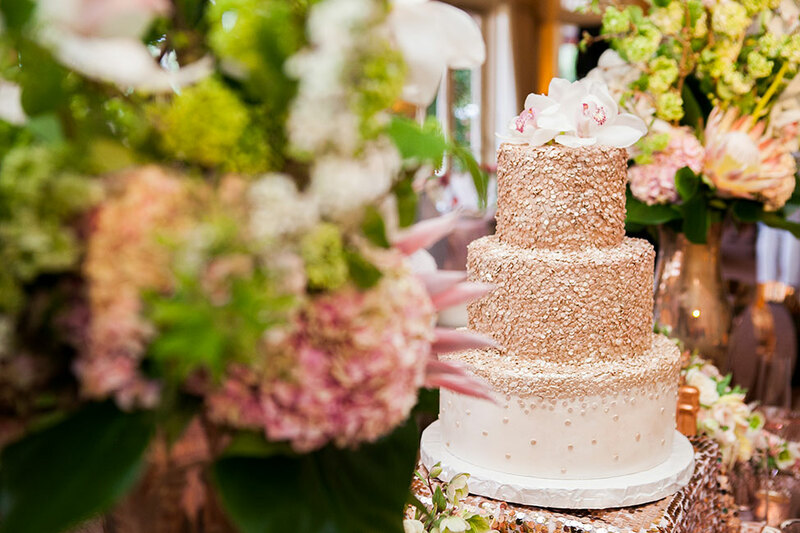 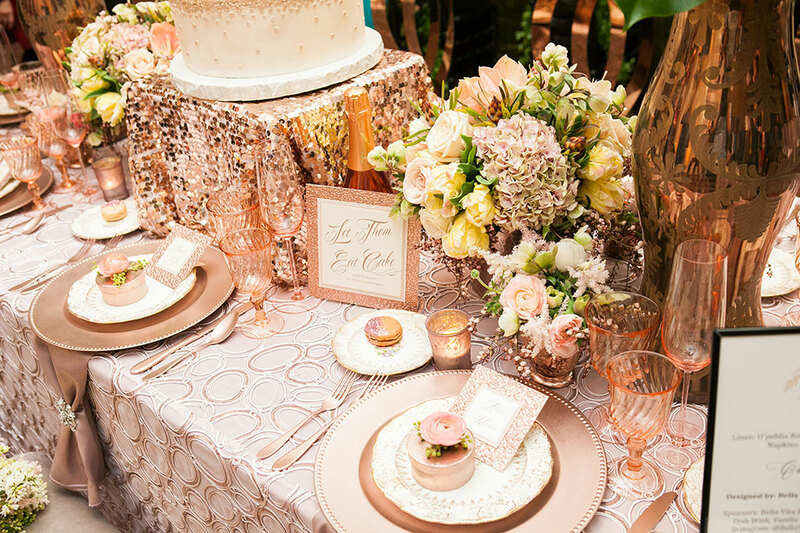 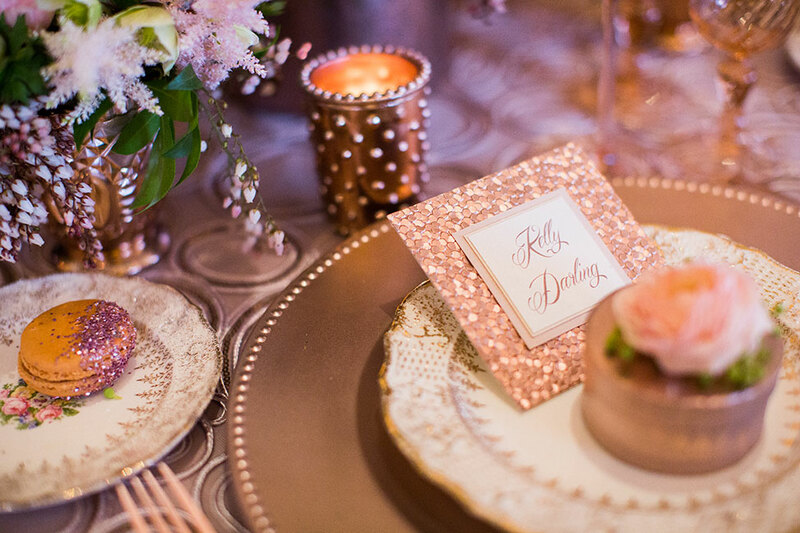 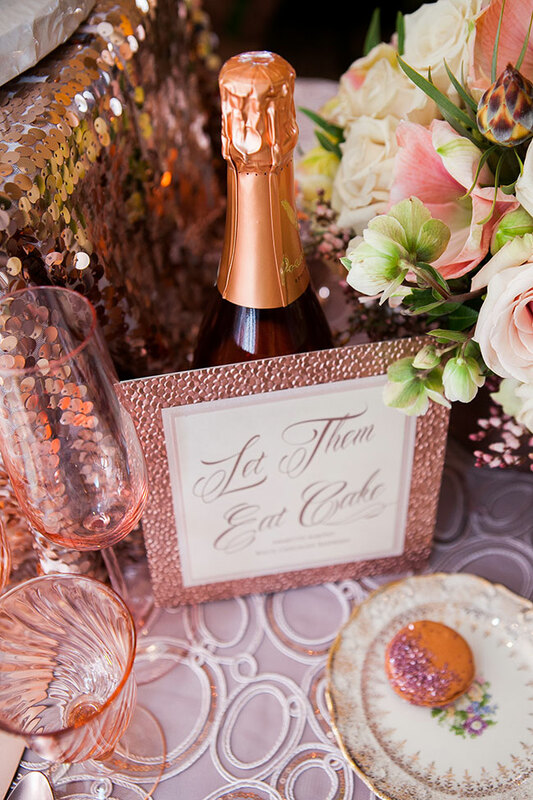 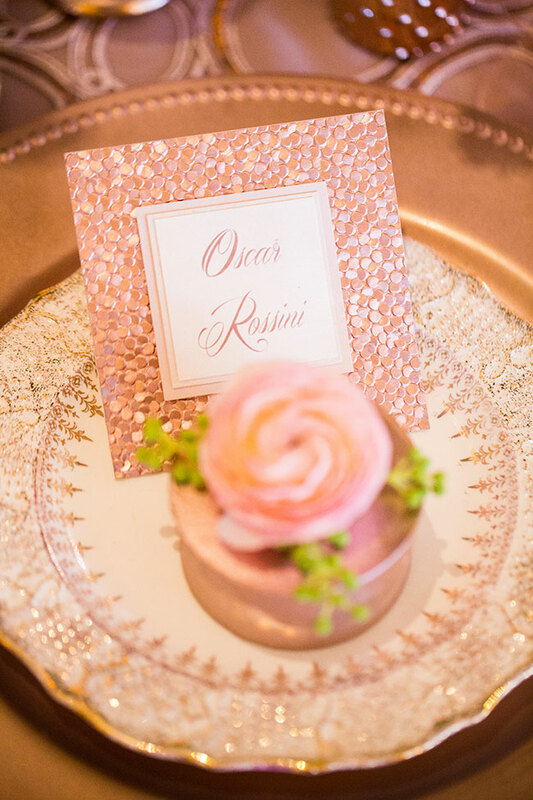 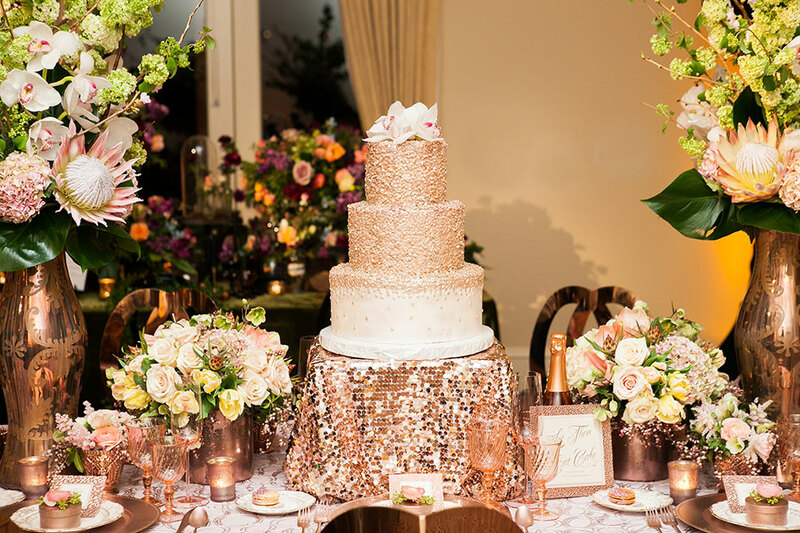 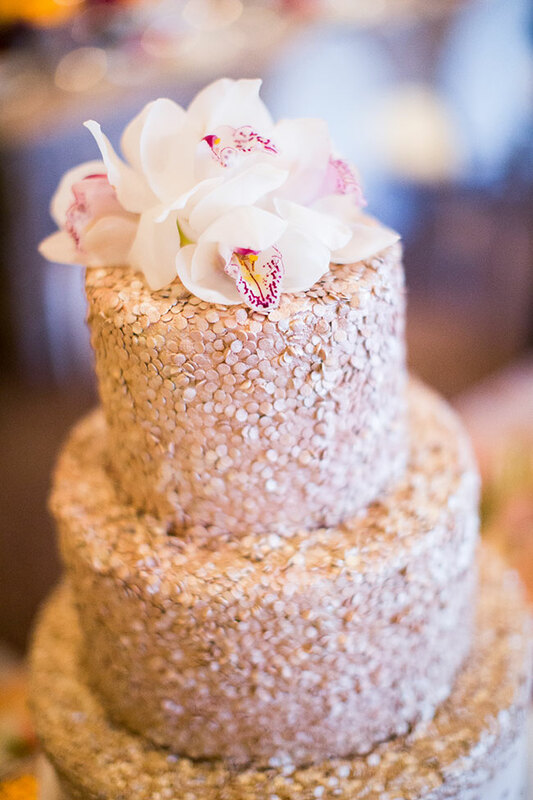 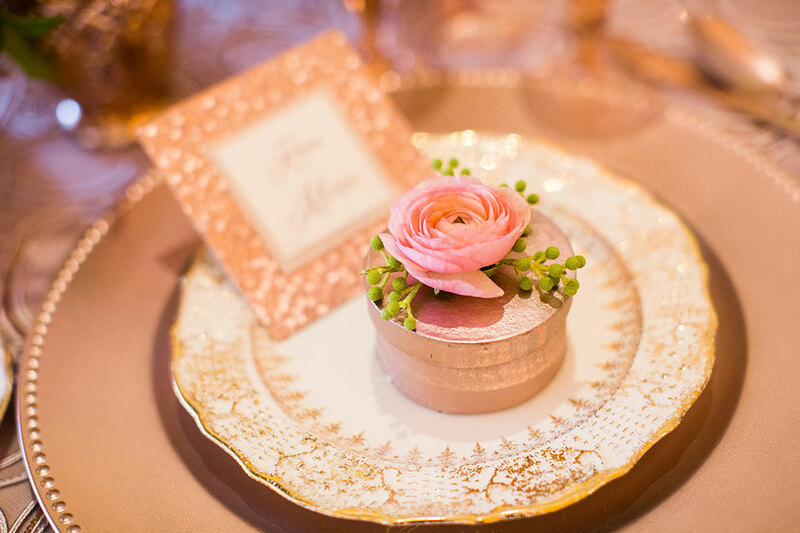 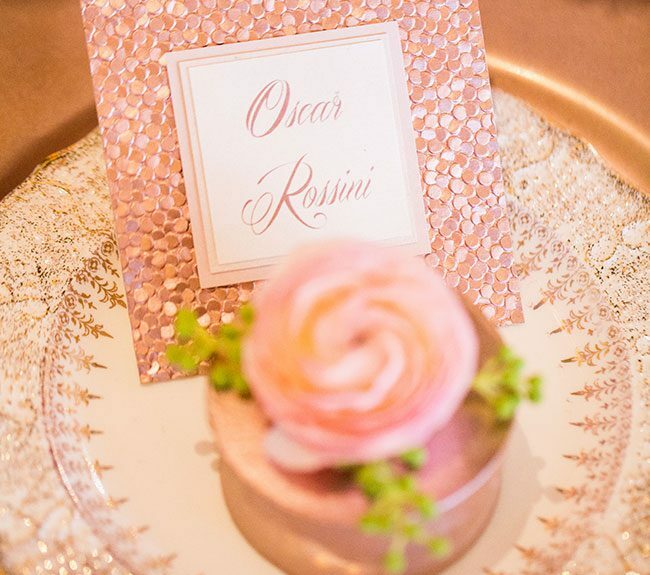 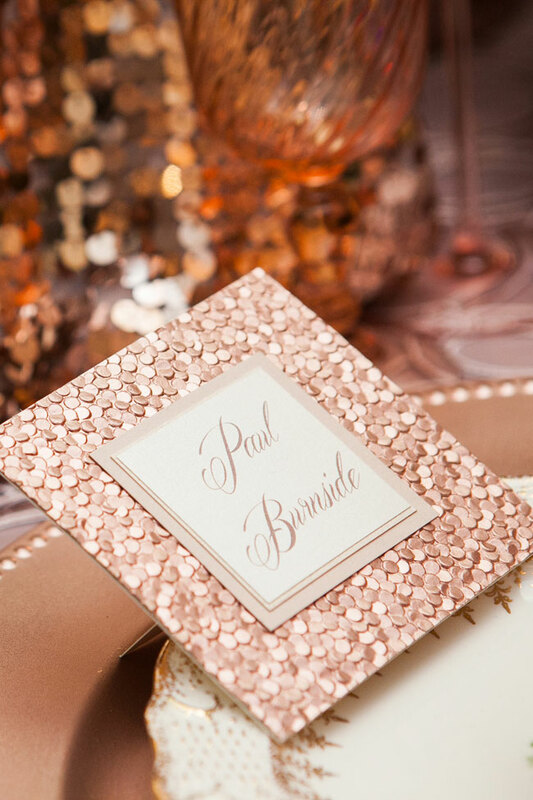 While any sequin linen is a spotlight grabber, the beauty to this rose gold glamour wedding was how perfectly it echoed the rose gold confetti wedding cake from Vanilla Bake Shop that sat upon it. 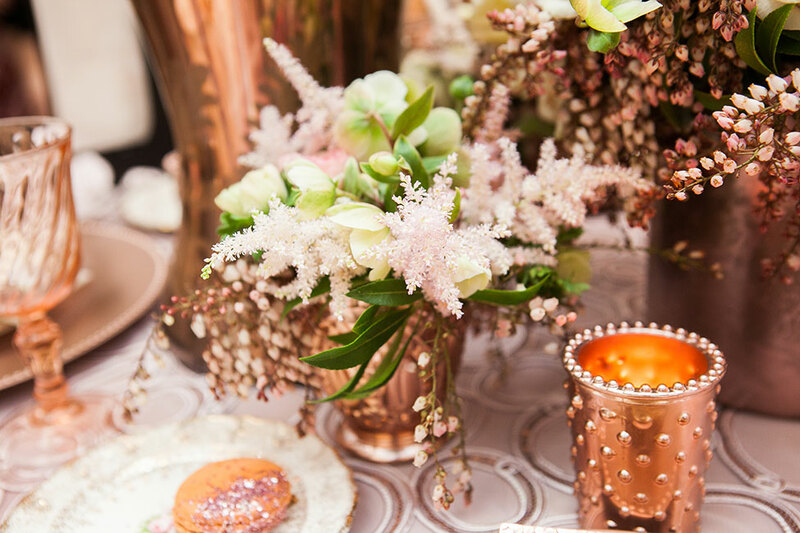 A natural bestie to rose gold anything is the choice to work with silver metal details. 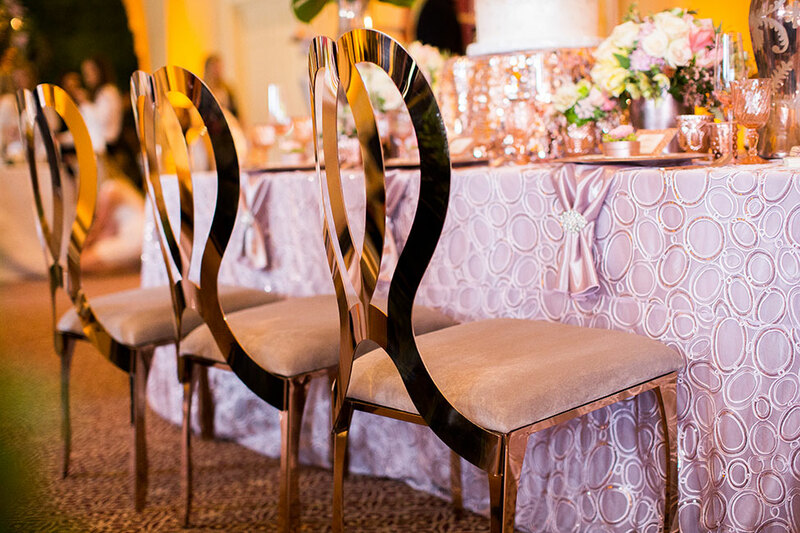 For this ballroom wedding the team opted for chrome attention grabbing arched metal back chairs from Revelry Event Design that beautifully stood up against the powerful rose gold detailing at every turn. 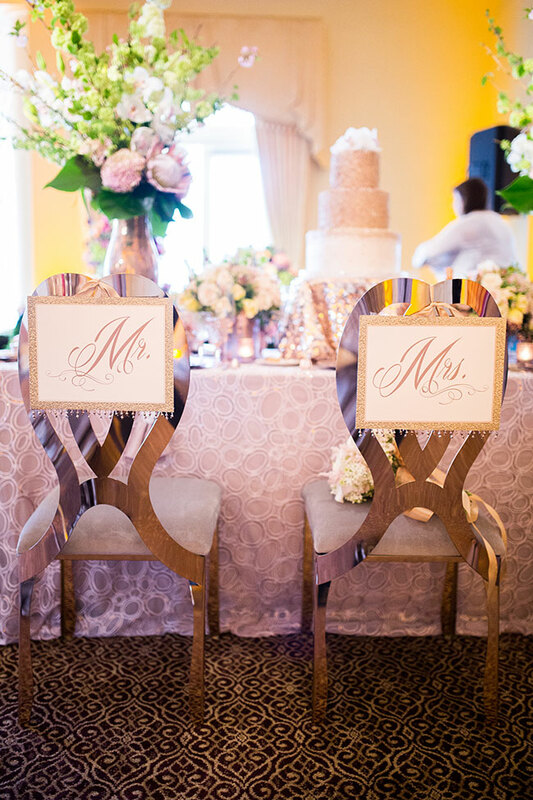 Complimenting the silver chairs and serving as the perfect bridge to all the detailing were the tall shapely centerpiece vases that served as the perfect blend of silver come rose. 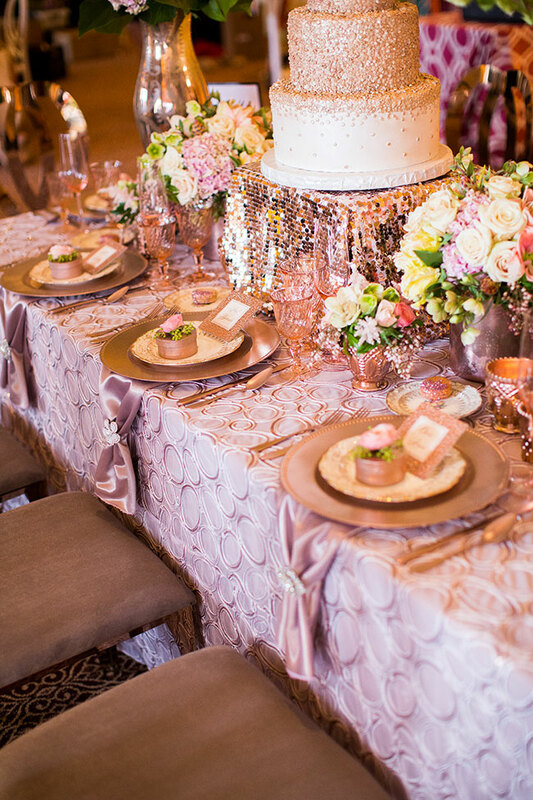 The full result is a gorgeous rose gold glamour wedding that is wonderfully refined yet not shy on the drama!